Like the two previous kits, this installment included a 100% Pure Maracuja Oil Rollerball, the Tarte Maracuja Miracle 12-Hour Foundation, and a Gifted Amazonian Clay Smart Mascara. 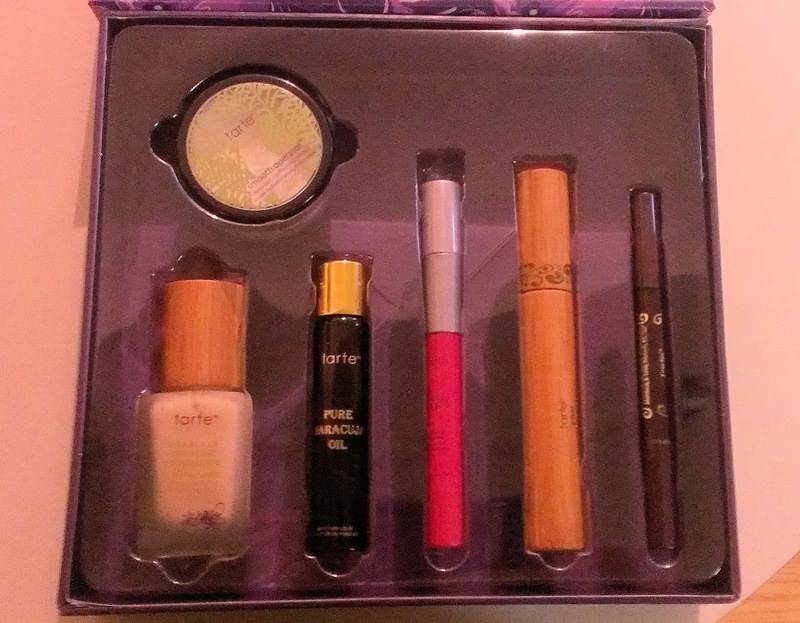 If you want to know more about these products, you can check out my review of the original TSV. 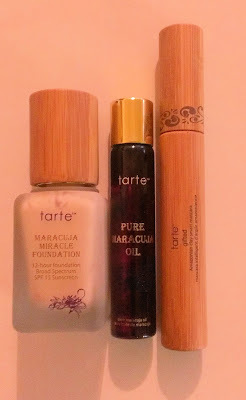 I've also done a separate review for the foundation that you can check out here. 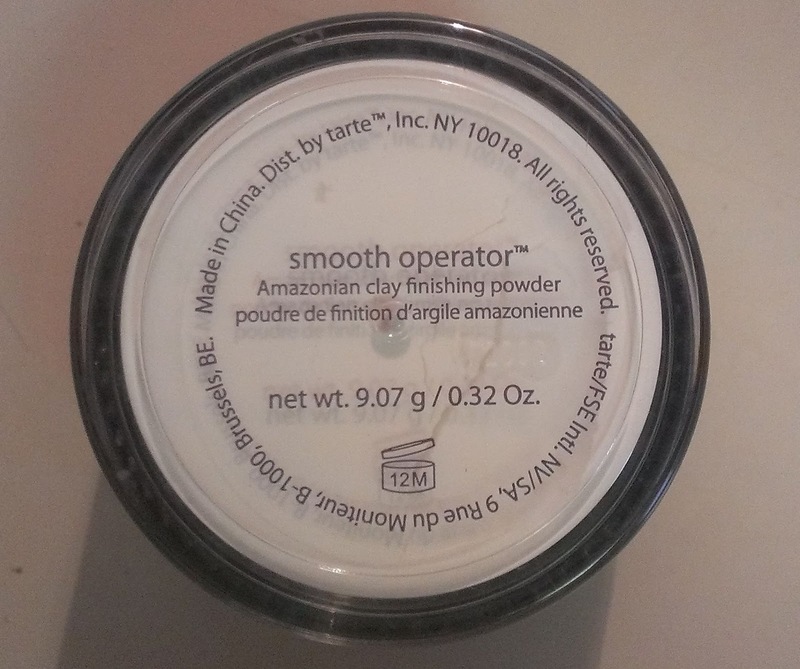 This kit also contains the Smooth Operator Micronized Clay Finishing Powder. 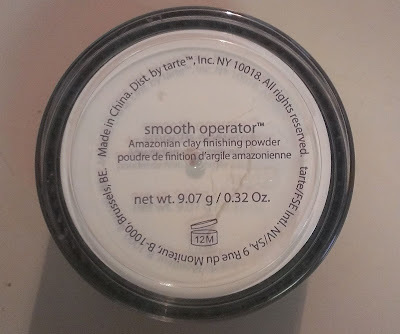 I actually have a deluxe sample of this powder that I received from Sephora, and it's a lot like the Makeup Forever HD Powder or any other silica based finishing powder. 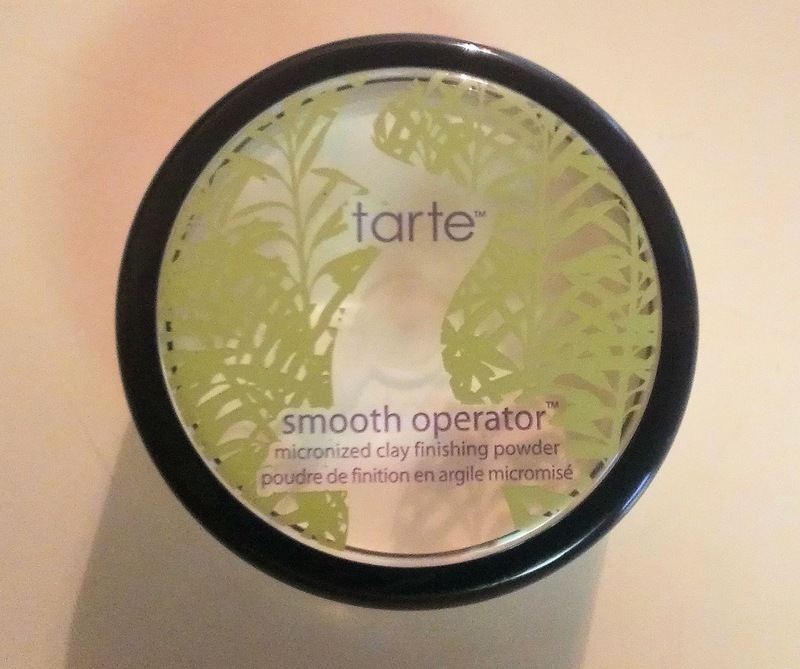 It's very finely milled and lightweight so it works well if you don't want to add a lot of coverage over your foundation. However, it also contains kaolin clay, so it does mattify and absorb oil. Oily-skinned folks should love it. If you have dry skin or dry patches in the winter like me, it can accentuate those spots. For me, this is a product that I'll save for summer use. The shipment also includes a new shade of the modernEYES Waterproof Creaseless Shadow/Liner Duo. This one is in Moss Green/Black. As its name implies, the Moss Green shadow portion of the duo is a dark mossy green with gold shimmer. 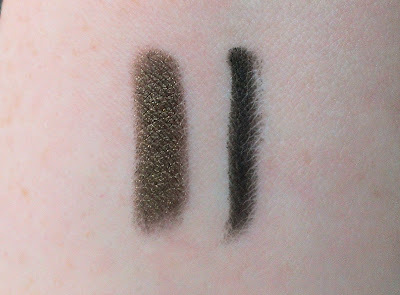 The Black liner is a lighter black shade, which makes it a good match if you've fair to light skin and deep,dark black liners tend to look harsh on you. I absolutely love the green shadow. I wore it all alone today, applying it to the lid and blending it out into the crease. It's a smokey look without being too dark -- very pretty. The final item in the kit is the Tarte LipSurgence Lip Shine in Vivacious. These LipSurgence Lip Shines are similiar to the traditional LipSurgence pencils except they offer a shinier finish and can be sharpened (there's a built-in sharpener in the cap). 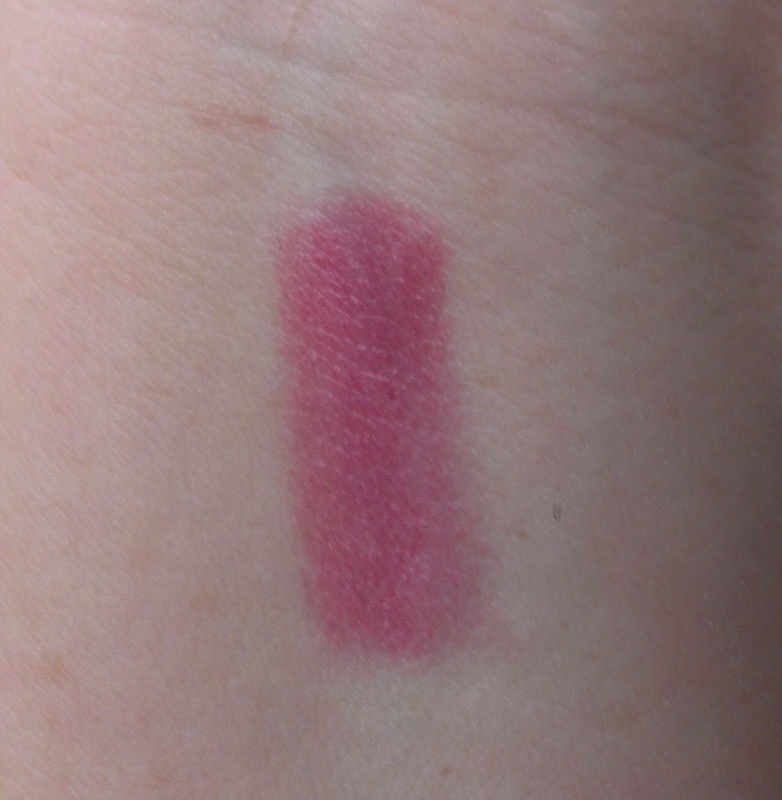 Vivacious is a mid-tone berry pink. It's one of those shades that really brightens up the face, but isn't so bright that someone like me who feels pretty self-conscious in really bold, vivid shades feels uncomfortable in it. 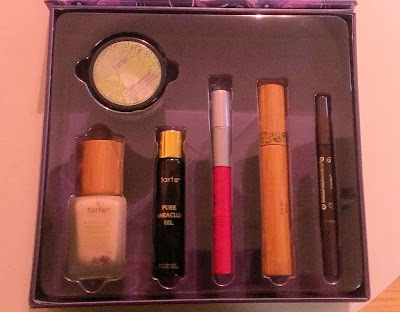 All in all, I think this is a nice, wearable kit -- it definitely made my snow day a little more fun. What do you think of the colors in this kit? Did anyone else get snowed in this weekend? 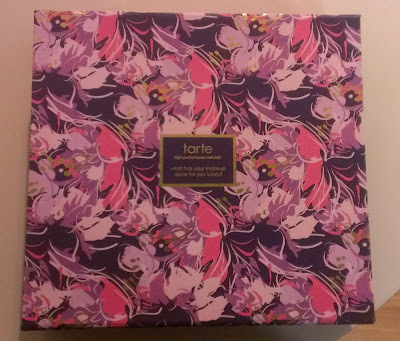 Did this come with any deluxe samples? I know that previous versions came with the maracuja C eye cream. Thank you!